Heikki Kovalainen will fill in for fellow Finn Kimi Raikkonen at Lotus for the final two races of 2013, the team confirmed today in a statement on the Lotus F1 Team website. 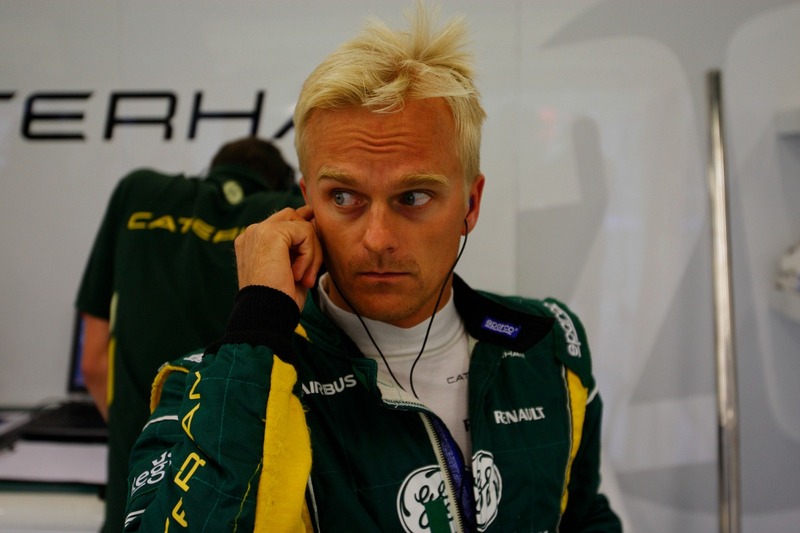 Kovalainen has been released from his contract with Caterham for the remainder of the season so that he can compete for Lotus. He had been assisting with the development of this year’s Caterham car by taking part in Friday practice sessions for the team. When Raikkonen announced last week that he would not be available for the final two races of the season, Lotus had to scramble to find the most competitive driver possible to fill Raikkonen’s vacant seat. In particular, Lotus needed a driver who could help them in their quest to take second place in the Constructors’ Championship. Among the drivers approached were Sauber’s Nico Hulkenberg, who turned down the offer so that he could see out his season with Sauber, and retired seven-time World Champion Michael Schumacher, who was disinclined to make a second comeback to the sport he dominated so thoroughly a decade ago. Kovalainen is an experienced and highly rated driver, which explains his appeal for Lotus. They approached Kovalainen and Caterham and it was arranged that Kovalainen would be able to return to the grid with Lotus this weekend in Austin, Texas. “Obviously we had to move quickly following the news of Kimi’s non-participation in the final two races of this season, and we found ourselves facing a difficult decision in terms of who should take the wheel in Austin and São Paulo. On the one hand we had our reserve driver Davide Valsecchi – who is a talented young driver that has shown a great deal of promise – and on the other we had the opportunity to bring in a seasoned Formula 1 competitor in Heikki. To date, Kovalainen has competed in 110 Grands Prix and has scored one victory, four podiums and one pole position. He will be in a competitive car again this weekend for the first time since he left McLaren at the end of 2009 and will be looking to make the most of the opportunity to score points again in Formula One.